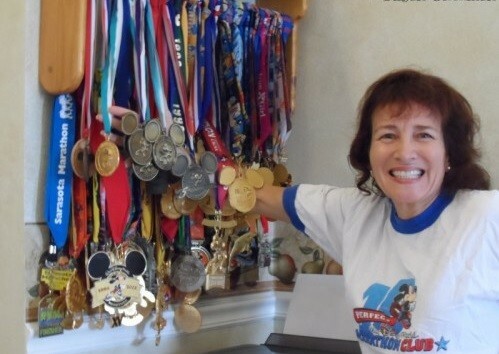 Susan Glickman from Tampa has logged 655 miles at the happiest place on earth and she isn't stopping anytime soon. Fancy Chemutai, the second fastest half marathon woman in history, leads top fields in Houston as she pushes for another top finish and boosts her chance of making the Kenya team to the World Championships. Last year, Chemutai, 23, missed the world record held by compatriot Joyciline Jepkosgei when she won in Dubai clocking 64:52. However, that push had taken a toll on her body as she injured her knee, which has kept her out of competition for almost six months. "It is a challenge for me in Houston but when I say I am back, it means I have gauged myself. I will still fight for the medals. I am progressively returning to full fitness." "I have sat down with my coach and I believe I have a chance to race again," said Chemutai, who currently trains in Iten. The 36-year-old Walter Handloser of San Luis Obispo, California wants to run 50 races of 100 miles or more in 2019. If he accomplishes his goal, he’ll set the world record for most 100-mile races run in one year. The current record is 41 races. Handloser’s running career began after he decided to get in shape about eight years ago. He was the self-described “fattest kid on the cross country team” in high school in the San Diego area and struggled to find an effective fitness routine after finishing his prep football career. Overweight and approaching 30, Handloser, a former Cal Poly student, decided he wanted to get in the best shape of his life. He joined Sleeping Tiger Fitness and began doing kettlebell and kickboxing workouts. Steady weight loss followed. Handloser, who stands 5 feet, 6 inches tall, went from about 240 pounds to about 170 pounds. He ran his first successful marathon in 2014, after a painful half marathon and a failed attempt at a full marathon. A couple of years later, Handloser ran his first 100-mile race in 2016 in Steamboat Springs, Colorado. 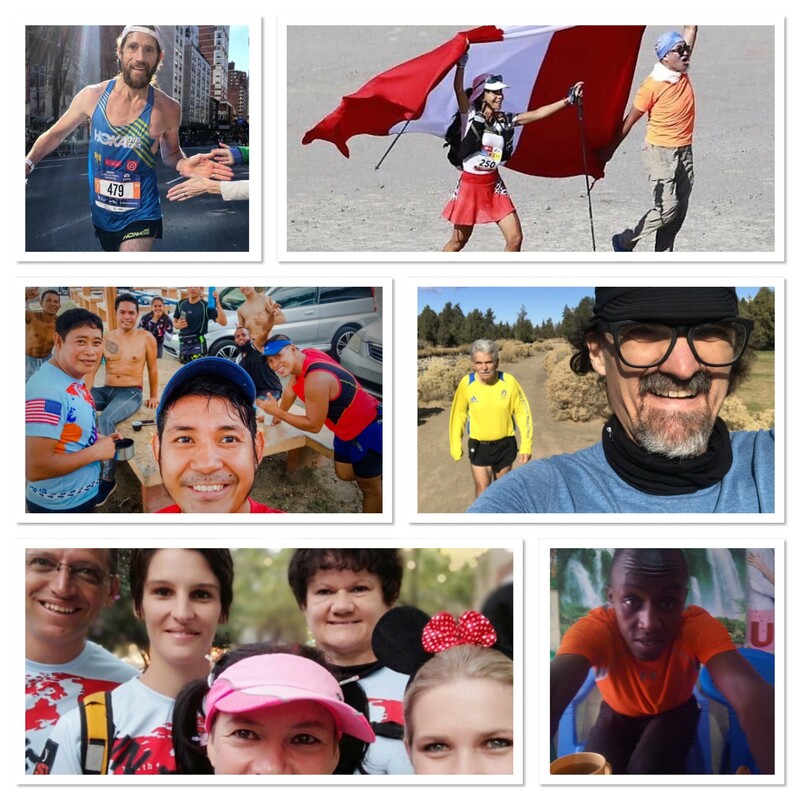 As of December, Handloser had run 64 races of marathon distance or greater, including 25 marathons, 12 ultra races of 100 miles and four 200-mile runs. His longest race was 240 miles. She will run the Houston Marathon on January 20th, seven years after making her second Olympic team there. Goucher is an World Championship silver medallist in the 10,000m and has a personal best time of 2:25:53 in the marathon. She represented the USA at both the 2008 and 2012 Olympic games. The route highlights Atlanta’s Olympic history and legacy as Olympic hopefuls chase their dreams of representing the United States at the Olympic Games in Tokyo. It will also provide an unprecedented number of opportunities for spectators to cheer on America’s top distance runners at all stages of the race which will be held on February 29, 2020. From Peachtree Street, the course takes the competitors into Atlanta’s Historic Old Fourth Ward where they will find the Martin Luther King National Historic Park, birthplace and burial site of the Civil Rights icon. The final loop will include a 2.2-mile section of the course, which will take the athletes by the Georgia State Capitol building and underneath the Olympic Rings and Cauldron structure outside Georgia State Stadium that served as the Olympic Stadium at the 1996 Atlanta Games. 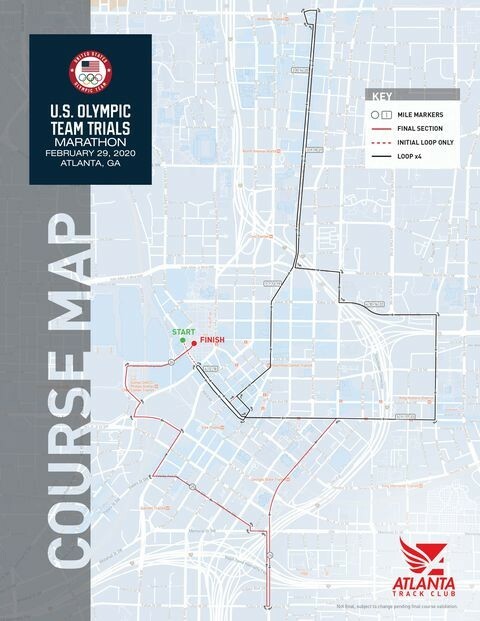 In the 26th mile, the race for a Tokyo Olympic berth will pass the homes of the Atlanta Falcons, Atlanta United FC and the Atlanta Hawks, and the Georgia World Congress Center before finishing inside Centennial Olympic Park, downtown’s transformational Olympic legacy green space. Over the marathon distance, the Trials competitors will experience approximately 1,000 feet of elevation gain with a net elevation loss of 17 feet due to the proximity of the start and finish lines. 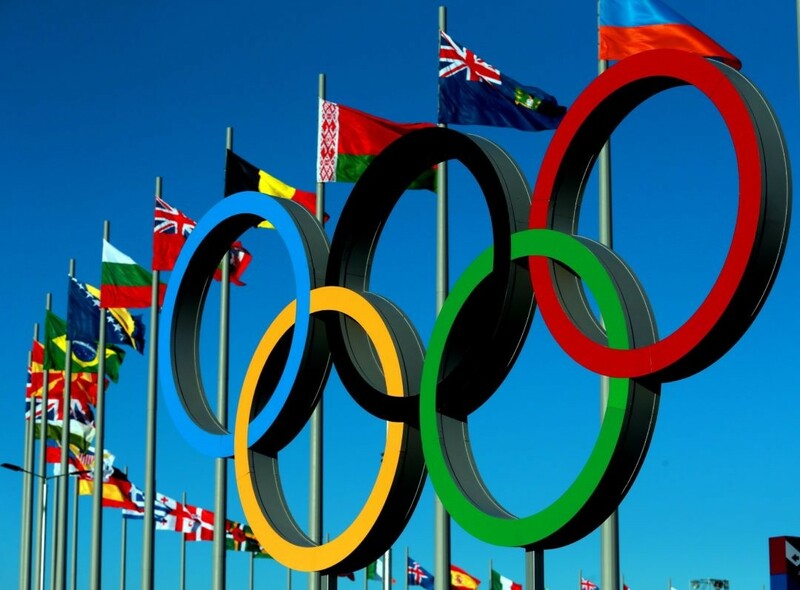 In March of 2018, Atlanta was chosen as the host city for the 2020 Olympic Team Trials – Marathon. All runners and walkers, including Olympic hopefuls will have an opportunity to preview the course for the first time at the Road To Gold. The 8.2-mile race organized by Atlanta Track Club will be held March 2, 2019. Dewi Griffiths will line up in the half marathon hoping to lay down a marker before making a return to marathon racing later this year. The Welshman, who ran a fantastic 2:09:49 marathon debut in 2017, had his 2018 season scuppered for the most part due to injury. 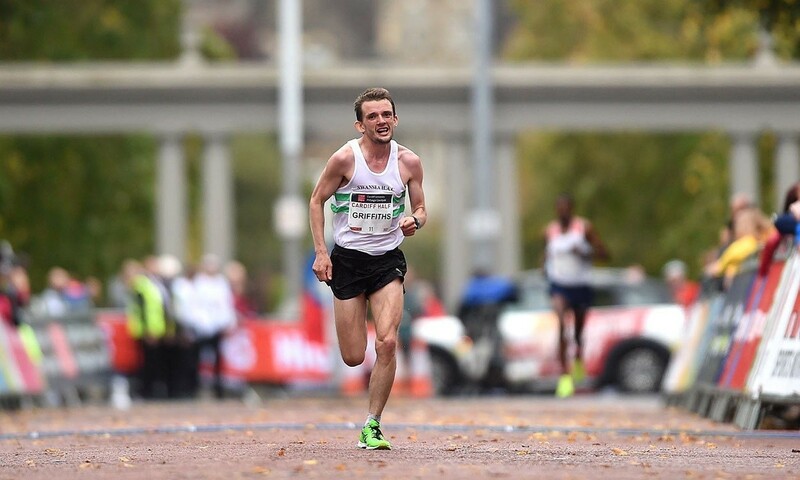 Griffiths made a steady return to action in the latter part of the year, building up to a 1:02:55 performance at the Cardiff hosted Commonwealth Half Marathon Championships in October, before ending on a high with a 28:49 10k at the Corrida de Houilles in France. Among those Griffiths will face are five sub 60 minute athletes, including Kenyan trio Bedan Karoki Muchiri, Bernard Ngeno and Geoffrey Koech, while USA’s Shadrack Biwott and Bernard Lagat are also in the field. Adrianne Haslet, a professional dancer who lost her left leg in the Boston Marathon bombing in 2013, was in serious condition in hospital after being struck by a car on Boston’s Commonwealth Avenue on Saturday. Haslet posted the information on Instagram, it was picked up by the Associated Press and retweeted by Haslet’s friend Shalane Flanagan, third-place finisher in last year’s New York City Marathon. According to the AP report, the driver claimed he was turning and did not see Haslet because it was dark out and raining, and because she was wearing dark clothing. He was charged for failing to stop for a pedestrian in a crosswalk. Haslet was in the crowd near the finish line in 2013 when she was injured in the second blast. She had shrapnel wounds in her right leg, and her left leg had to be amputated below the knee. A highly ranked competitive ballroom dancer, Haslet was able to recover and return to dancing with her prosthetic leg, and in 2015 she performed a dance at the Boston marathon finish line. Linda Prefontaine posted this on Facebook and got hundreds of likes and comments. She wrote, “My favorite pictures of my brother are not of him crossing the finish line. They are pictures like this that show what a wonderful, warm and caring person he was. Like this photo of my brother and Gerry Lindgren. Hundreds of people posted comments. Tom Lux wrote, “Linda. 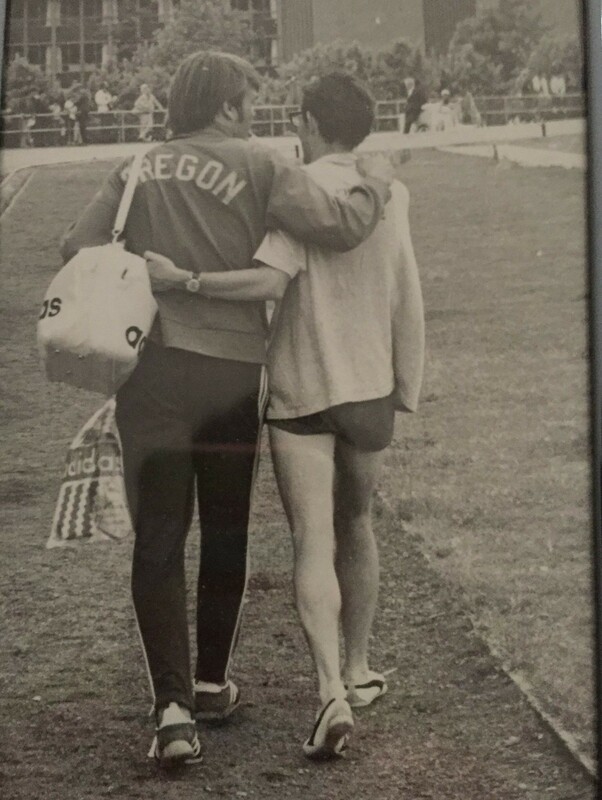 The first time I met your brother I had just arrived in Eugene. I was by myself stretching on the track with nobody around. Steve came up to me and started asking about what I was doing. Richard Leedom posted, “Yep--he was bold and fierce. He was also emphatic about fighting for our sport. Emboldened me to join his fight against the AAU, (led to my own battles with them). He definitely had the passion. Yes Linda, your brother Steve Prefontaine was one tough runner on the track but he was just one amazing, caring and thoughtful person as well off the track as you know. He had a big heart. He died over 42 years ago because of a freak accident but he will never be forgotten for everything he accomplished on and off the track. Courtney Ekstrom is not running 26 miles in April for self gain, she’s running to share the story of Nicholas Capano. Thirty years ago, Capano was born at Tufts Medical Center with spina bifida, which led to Type II Arnold-Chiari Malformation, a type of malformation in which both the cerebellum and brain stem tissue extend into the hole at the skull base for passing of the spinal cord. At the age of three he had a stroke and at the age of six he had a second stroke, said his mother, Patti Capano. He lives his day-to-day breathing via machine in a motorized wheelchair with a ventilator, a tracheostomy tube, a gastrostomy tube, and a shunt in his head because he was also born with a hole in his brain stem. But, Capano never let his medical setbacks limit him in any way, said his mother. With the help of family and friends, he’s participated in 5ks, hiking trips, regularly attends boxing classes, and has worked as an office assistant at Bridgewell since 2014, after being hired by the late Kelly Martin. Ekstrom, 24, met ”Nicky” Capano in middle school, after she began dating his younger brother Jonathan, whom she is still with today. 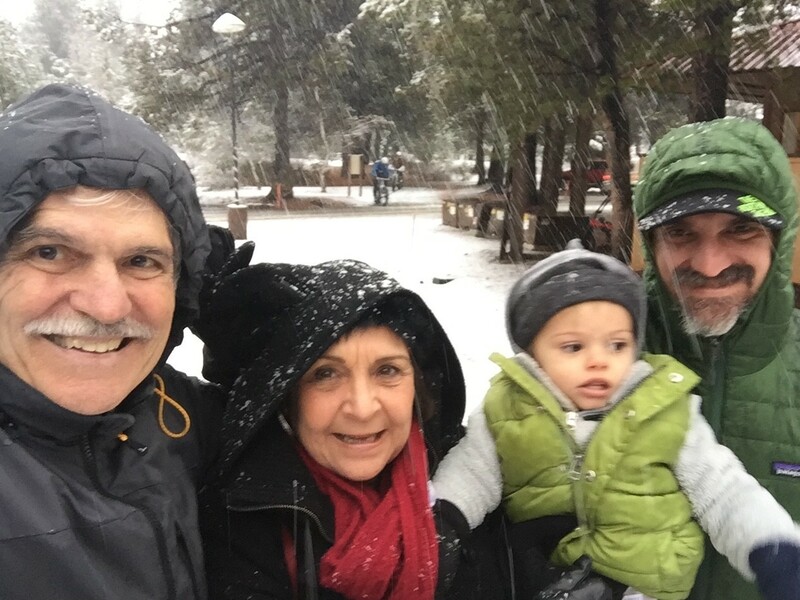 In the decade she has known the Capanos (Patti, Jonathan, his father Mario, and second brother AJ) she said she has seen all the ups and downs they have gone through regarding his health. 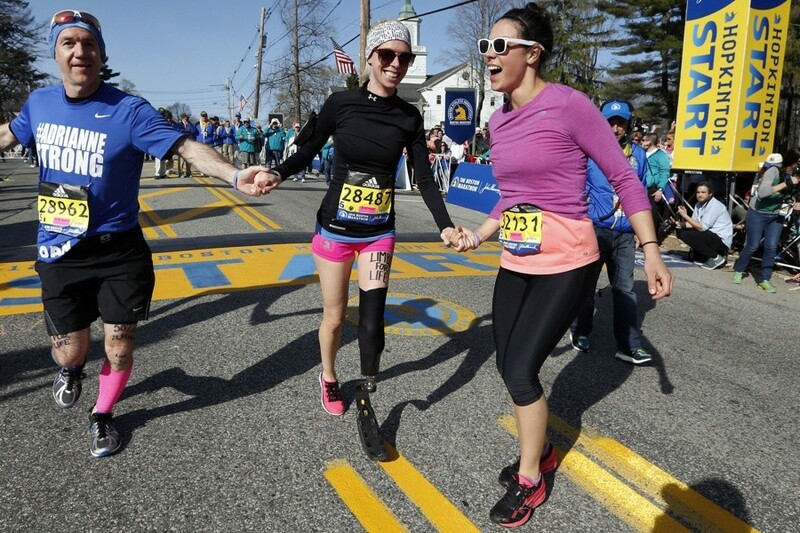 Inspired by his strength, she decided to run the Boston Marathon on April 15, in partnership with Tufts Medical Center. Patti Capano said her eldest son’s life was saved dozens of times at Tufts and many of the nurses who were there when he was born are still very much a part of their lives today. Ekstrom had a lot of other organizations vying for a marathon partnership with her, but it was her heart that led to her decision, said Capano’s mother. Successfully coming back from a career threatening injury is the inspirational narrative every running fan wants to read. Unfortunately, it is not always the case, but thankfully Natasha Cockram’s account is one of the positive tales of coming back from the depths of injury hell – and now she can’t wait to write the next chapters of her running story. During a few difficult years the prospect of not running again was all too real, but after a successful knee surgery, plus her resilient attitude and dedication to get back running, the 26 year-old can now once again dream of earning a GB vest for a major championships. Cockram’s breakthrough performance of 2:35.47 to finish fourth at the Dublin Marathon in October catapulted her fifth on the Welsh all-time list. It was a nine minute personal best after winning April’s Newport Marathon in 2:44:58, despite spending the prior three months only cross training. Both performances were a surprise to the Micky Morris Racing Team athlete, and she humbly says she is just “enjoying running again, which is the main thing” after her injury battles. 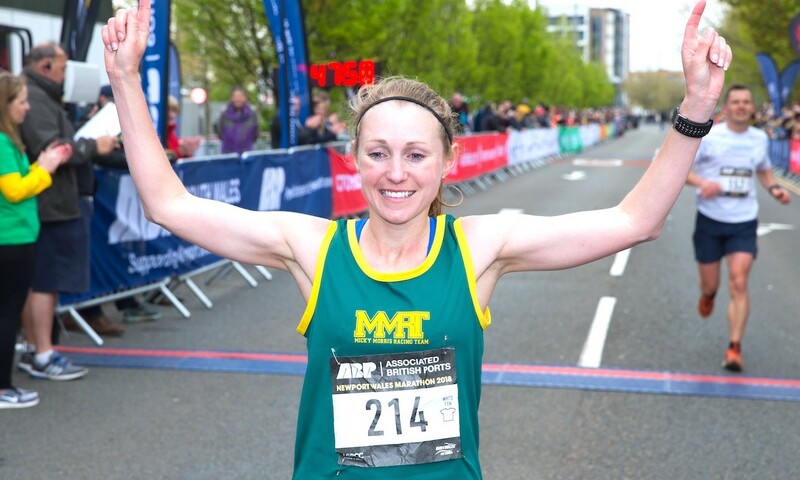 The Welsh athlete now aims to target three big marathons in 2019, beginning with the Houston Marathon on January 20, followed by London in April, where she hopes her performance will bag her one of the coveted places on the GB team for the World Championships in Doha. 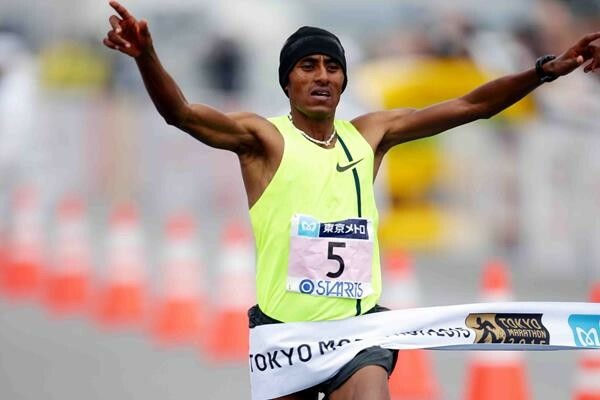 Ethiopia’s Dejene Debela emerged victorious from a five-man contest to retain his Xiamen Marathon title in 2:09:26 at the first IAAF Gold Label road race of the year on Sunday. Compatriot Medina Deme Armino won the women’s race in 2:27:25. With their teammates filling the top three spots in both races, it was the third consecutive Ethiopian double podium sweep in Xiamen. 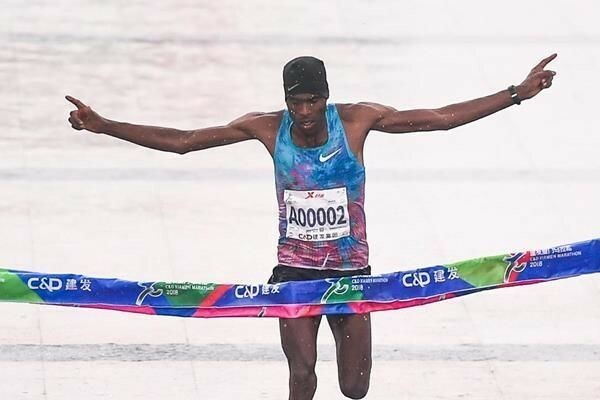 The tall and strong Debela, who will celebrate his 24th birthday on Wednesday, led the race almost from the start to the finish to become the first back-to-back men’s winner in the 17-year history of the race. His winning mark of 2:09:26 is nearly two minutes faster than his clocking in Xiamen last year. It is also his second sub-2:10 performance to date, following his 2:07:10 PB set in Dubai two years ago. The race, held in cloudy and cool conditions, started with a group of six runners leading the way, followed closely by seven chasers. When the leaders hit the 15-kilometer mark in 44:49, they were just four seconds away from the same split time of Moses Mosop when he set the 2:06:19 course record in 2015. However, the leading pack that consisted of Debela and compatriot Birhan Nebebew as well as Kenyan trio Eliud Kiptanui, Asbel Kipsang and Gilbert Masai, slowed down gradually afterwards and was unable to drop the chasers. Kipsang limped off the course after reaching 25 kilometers in 1:15:50 and had to withdraw from the race while the remaining four leaders were finally caught by the chasers before 29 kilometers. After another eight kilometers, the lead group was once again trimmed to an all-Ethiopian quintet comprising Debela, Nebebew, Afewerk Mesfin, Belachew Alemayehu and Chele Dechasa. None of the leaders was willing to take the risk to pull away too early and the group remained together patiently until the final kilometer when Alemayehu dropped away first, followed by Dechasa. Thanks to his powerful home stretch, the long-legged Debela held off Mesfin to take the victory, maintaining his all-win record on Chinese soil as he also won the Beijing Marathon in 2:12:08 last September. The men's list contains four runners who have run under 2:08:00 and 11 under 2:09:00, race organizer’s Procam International announced Saturday. 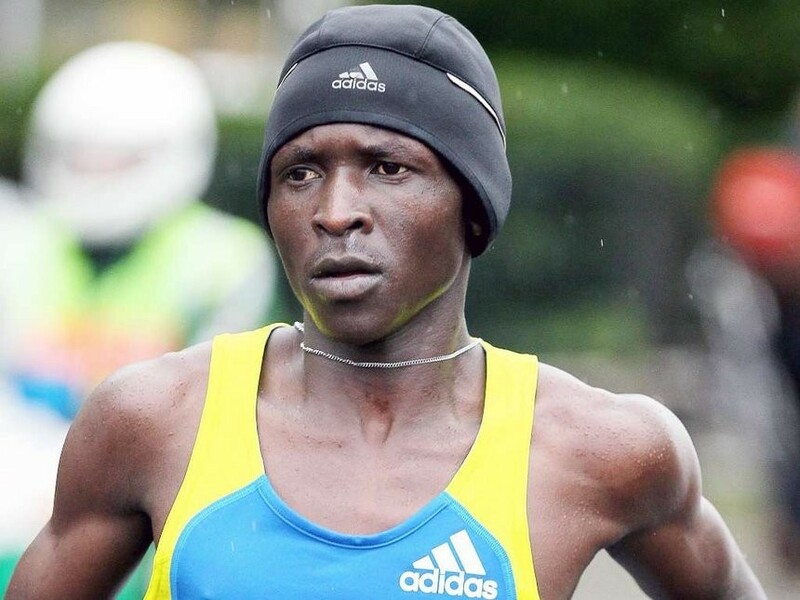 Kuma, 28, ran his personal best of 2:05:50 when finishing second in last years Rotterdam Marathon and in that sort of form could challenge the course record of 2:08:35 set in by Kenya’s Gideon Kipketer in 2016. 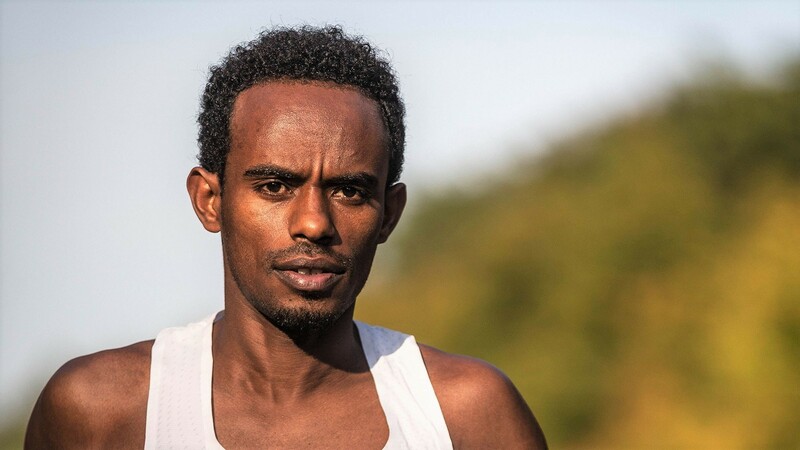 The Ethiopian is hoping that success in the Mumbai Marathon will help him book a place in the Ethiopian team going to the IAAF World Championships in Doha later this year. He was part of Ethiopian teams at the 2011 and 2013 world championships on the track as well as two IAAF World Cross Country Championships. Kuma will be racing in India for the first time but his younger sister Dibaba Kuma, who was an impressive winner at the Tata Steel Kolkata 25K last month, has already taken part in Mumbai. One man who has experience of Mumbai and India, having raced in the country several times before, is Bahrains Shumi Dechasa, who finished fourth in last years race.The 29-year-old Dechasa is the second fastest man in the field with a best of 2:06:43 and has been a top 15-finisher at the last two world championships, including fifth place in 2015. He will be looking to make the podium after the disappointment of just missing out on a top-three place 12 months ago. Another runner to highlight in this year's men's elite field is Ethiopian Aychew Bantie who finished fifth last year. No less than nine men in this year's race have personal bests faster than the course record and will be motivated by the fact that a USD 45,000 first prize money, for both men and women, is India’s richest road race. For the second time in 2019, racers faced soggy conditions on the roads of Central Park. But were spirits dampened at Saturday’s NYRR Joe Kleinerman 10K? Heck, no! More than 4,500 runners, supported by New York Road Runners staff and volunteers, ran their 6.2 miles over the park’s challenging hills, with a strong north wind thrown into the mix. And they did it with smiles, cheers, and plenty of grit and determination. Not bad for what was, for most, the year’s first hard race effort. First across today’s finish line were Ernest Pitone of Pennsylvania in 30:41 for the men, and Ana Johnson of NYC and Henwood Hounds Racing Team in 36:07 for the women. The race honors Joe Kleinerman, a founding member of NYRR, the longtime coach of Millrose Athletic Association, a beloved NYRR employee until his death in 2003 at age 91, and a true competitor. Joe estimated he'd run around 500 races. The 29-year-old Olympian plans to take part in the Tokyo Marathon on March 3 in an attempt to qualify for the quadrennial meet that will be held in Tokyo, Japan next year. This year will be a busy one for Cebu’s Mary Joy Tabal will be an understatement as she will be eyeing the 2020 Tokyo Olympics and will compete in the Southeast Asian Games. Tabal of Motor Ace Kawasaki Racing Team made it to the 2016 Rio Olympics by clocking 2 hours, 43 minutes and 32 seconds in a qualifying race in Canada. The qualifying time for female marathoners in the 2016 Olympics was 2:45. “The Tokyo Marathon is part of the plan to be our first race then the Ottawa Marathon in May before I start my preparation for the Southeast Asian (SEA) Games,” she said. The Ottawa Marathon is the same race where Tabal got the Rio Olympics qualifying time. For the SEA Games, Tabal is looking to defend her crown in the 42-kilometer race, especially since the country will host the 30th edition of the biennial regional meet on Nov. 30 to Dec. 11. “It’s a different feel when you compete in your hometown. That makes the 2019 SEA Games exciting for us,” Tabal earlier said. Will The 2019 Prefontaine Classic be moved to Stanford? 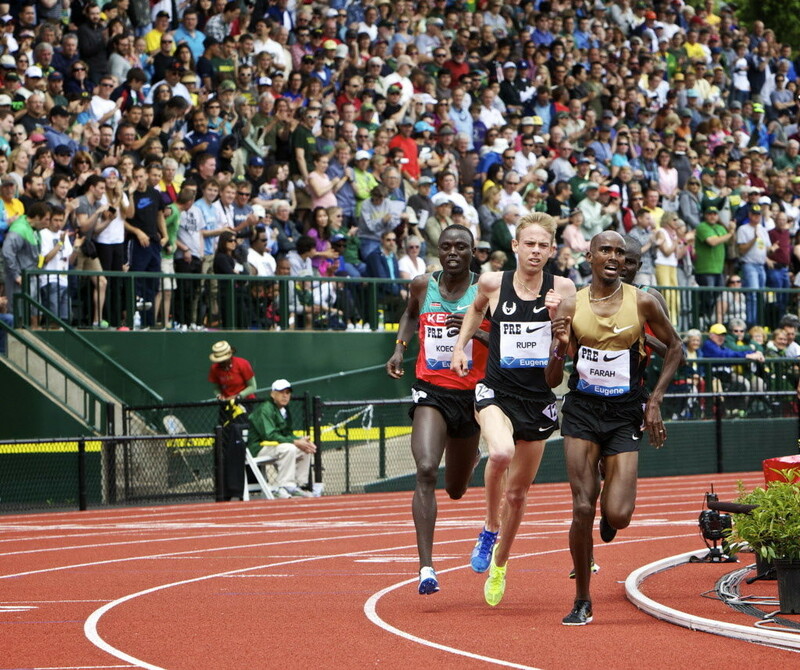 The Prefontaine Classic could be moving south. With its usual site, Hayward Field in Eugene, Ore., undergoing a massive reconstruction project, the US’s only Diamond League meet is in need of a new venue for 2019. In track & field circles, one venue’s name has popped up more than any other: Stanford University’s Cobb Track & Angell Field. Something certainly appears to be in the works between Stanford and Pre as the officials’ calendar for the USATF Pacific Association lists the Prefontaine Classic as one of its meets with Stanford listed in the “site” column. The date of the meet is Sunday, June 30, which is what the Diamond League lists on its official calendar. Pre Classic press chief Jeff Oliver wrote that, “The Prefontaine Classic does not have a statement on the location of the 2019 meet at this time. We are hopeful to make an official announcement later this month.”In addition to the annual Stanford and Payton Jordan Invitationals, Cobb Track & Angell Field hosted the USATF Outdoor Championships in 2002 and 2003." According to Stanford’s website, it has a permanent capacity of 1,772, which would make it by far the smallest stadium to host a Diamond League (no other venue has fewer than 12,000 permanent seats; Stanford would presumably add temporary seating should it host the meet). Eliud Kiptanui is the fastest man in the field having clocked a PB of 2:05:21 to finish second at the 2015 Berlin Marathon. Last year, the 29-year-old produced a season’s best of 2:08:20 to finish fifth in Paris. The 23-year-old Debela, whose personal best of 2:07:10 was set in 2017 when he was fourth at the Eindhoven Marathon, led an Ethiopian top-three finish last year in Xiamen where he pulled away in the final kilometre to take his first marathon title in 2:11:22. 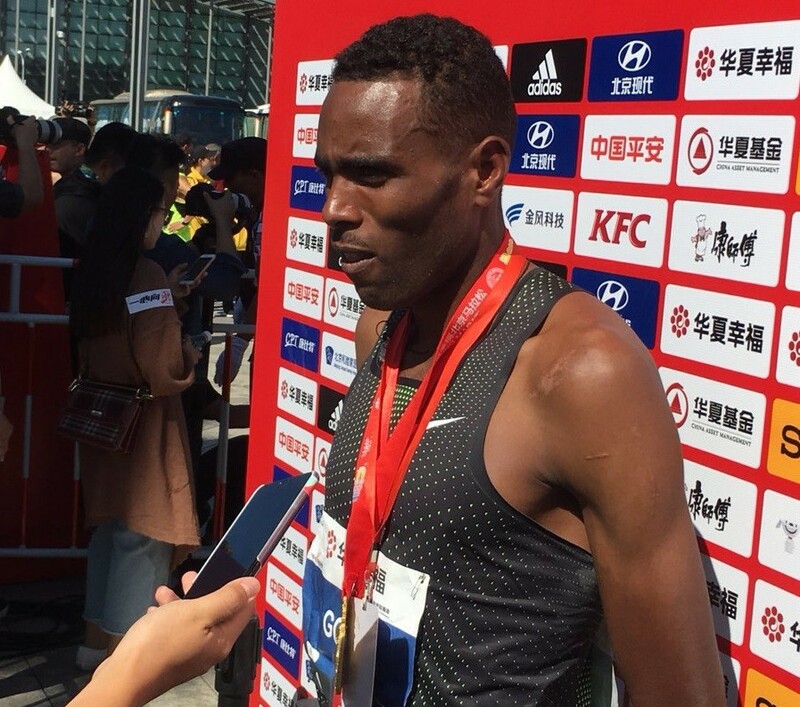 Because of the heavy rain that dogged him from almost gun to finish, Debele’s winning mark in the southern Chinese city was the slowest in 11 years, more than five minutes shy of the 2:06:19 course record set by Moses Mosop in 2015, which has stood as China’s all-comers’ record since. This time Debela will be running in better conditions as the forecast calls for a cloudy day with temperature ranging from 14-18 C. But his title defence will not be easy as he faces a strong field that includes three sub-2:06 runners. Bazu Worku, 28, is the second fastest entrant with his career best of 2:05:25 dating back to 2010. The experienced Ethiopian has remained in solid form in recent years, collecting his third Houston Marathon title in 2:08:30 12 months ago. It will be Worku’s first race in China since his marathon debut in 2009. Kenya’s Peter Kimeli Some is another man to watch. The 28-year-old registered his PB of 2:05:38 to win the 2013 Paris Marathon and came close to that mark when finishing third at the Daegu Marathon in 2:06:49 last April, the second fastest time of his career. 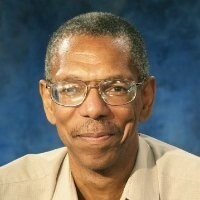 The National Black Marathoners Association (NBMA) is pleased to announce that their Official Historian and Researcher, Gary Corbitt, will be one of the 2019 National Black Distance Running Hall of Fame honorees. Gary, son of Ted Corbitt, "the father of long distance running," is being recognized for his contribution to the research, preservation, verification, and distribution of African-American distance running history. Tony Reed, NBMA Executive Director says, "Gary Corbitt is the 'Carter G. Woodson' of African American distance running history. Without Gary's knowledge and support, there may not be a National Black Distance Running Hall of Fame. He produced the African American Long Distance and Middle Distance Running History Timeline (1880 – 1979). This compilation is the first of its kind and is the Hall of Fame's foundation." The induction ceremony will occur at the 2019 NBMA Annual Summit Banquet at the Little Rock Marathon on Saturday, March 2. This is the organization's fifteen-year anniversary. The 100th anniversary of Ted Corbitt's birth and the fifth and tenth anniversaries of Meb Keflezighi's victories at the Boston and New York City Marathons, respectively, will also be recognized with commemorative medallions. Both were previously inducted in the Hall of Fame. Bedan Karoki, a usual half marathoner has been slowly transiting to the full marathon and his best result was in 2017 when he finished third at the London Marathon. 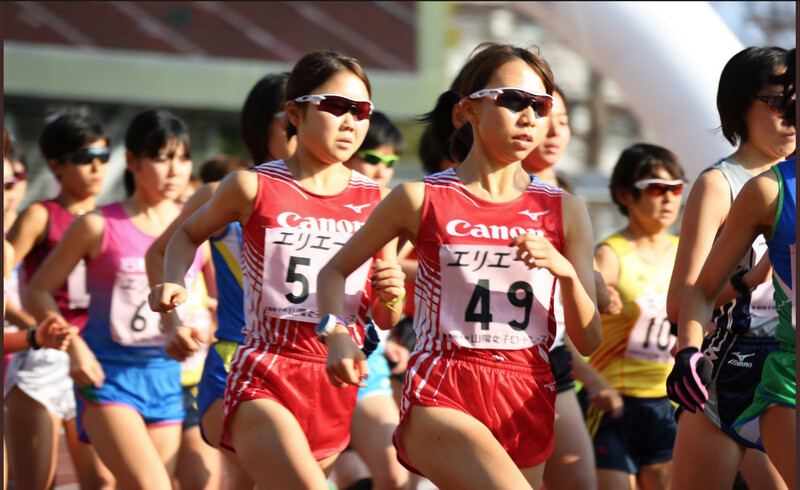 “Right now I am preparing for the cross country season as well as the Tokyo marathon in March. I am expecting to perform better this year. 2018 Wasn’t very bad though there were struggles here and there especially because I had to struggle with some tendon injuries. But now I am back to full fitness and working towards the new season,” Karoki said on Sunday in Nyahururu. Karoki hit the finishing line by clocking 28:22 to beat Commonwealth Games 5,000m champion Emmanuel Bett who finished second in 28:23:2. 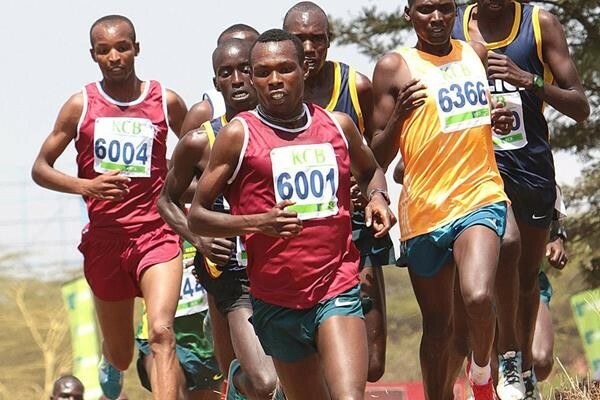 Bett, just like Karoki is already shifting his focus on a better 2019 and his target remains getting into the Kenyan team for the 2019 World Cross Country Championship to be held in Denmark. Big Sur Marathon Foundation officials have announced that the Salinas Valley Half Marathon is being discontinued after almost a decade. After eight years of the half marathon, the 2018 event included a shorter 5K run to build more support for the race. But that event didn't draw enough support to make the event financially viable. The Big Sur Marathon Foundation took over organizing duties from the Salinas Valley Half Marathon foundation in 2016 to increase participation given the popularity of other Big Sur Marathon Foundation events. 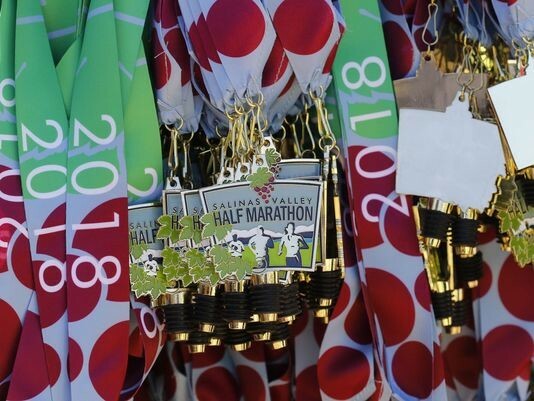 Despite the increased incentives, including participants receiving an additional medal for doing multiple Big Sur Marathon Foundation events in one calendar year, participation in the Salinas Valley Half Marathon continued to drop. “Only 772 (people) entered the last race (in 2018), down more than 50 percent from eight years ago,” Thurston said. Former world marathon record holder Wilson Kipsang has said there is need to train young athletes to take up positions left by retiring athletes. Kipsang, who has sponsored up to 50 young athletes from various schools, said that the youths need to be ready to take the mantle from their seniors who are retiring. The young athletes will benefit from the newly launched athletes training camp based at Kitany Boys High School in Elgeyo Marakwet County. “We have been training and running for a long time and the youths should be guided. That is why I decided to support those who are talented in various schools to brighten their future,” said Kipsang. He said the the Wilson Kipsang Foundation will be a great talent nurturing center for athletes from the entire country. “I will be personally monitoring the young athletes and they have to be in the camp for three weeks. They will also be monitored by a coach and it will be easy to rectify some mistakes compared to when one is at home,” he said. Kipsang also said that he is looking forward to building a good training camp. “My dream is to help the youth and I will be looking forward to start a training camp where youths will nurture their talents. This will also help them get scholarships and further their studies as they continue with the sport,” added Kipsang. Constance Wu (36) is bringing Asian Americans to the forefront in Hollywood with her starring role in the box office hit, Crazy Rich Asians. 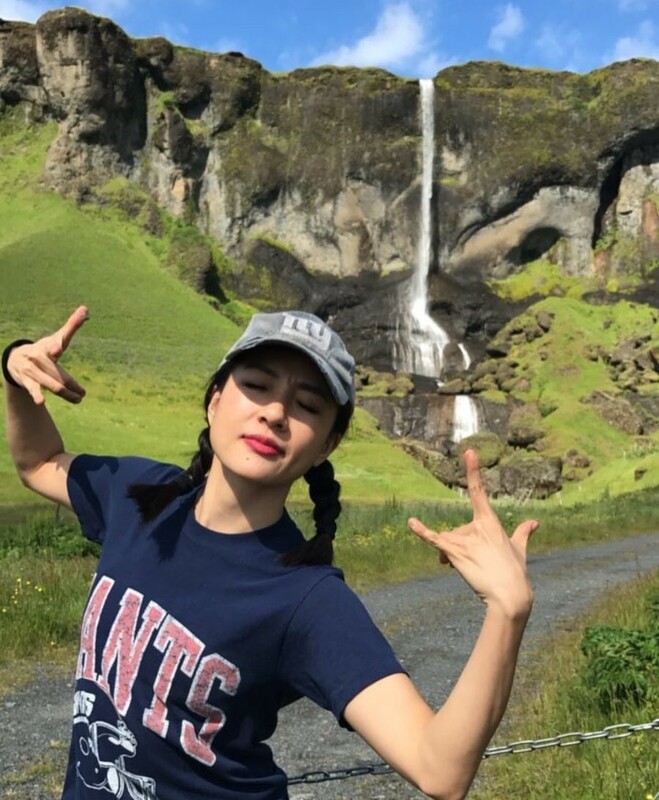 Having also starred in ABC’s Fresh Off The Boat, Wu has become a role model for Asian American females, an under-represented group in mainstream media. How does she manage to stay fit and healthy even with a busy schedule? Wu has trained herself to stay in shape in between shoots with her favorite go-to workout–running. “When I’m not working, I run, like, six miles a day.” she revealed in an interview with Health. We particularly love Wu’s philosophy on eating to stay healthy. She believes knowing the difference between eating for pleasure or stress is key. “One piece of chocolate is pleasure. Ten pieces of chocolate is stress,” she says. So if you’re looking to get leaner, lift your mood, or simply find more balance in your life, try Wu’s go-to workout. Put on your headphones, play your favorite tunes (in Wu’s case, Broadway musicals) and hit the ground running! This weekend Wu will be attending the Golden Globe awards as she was nominated as best actress for the film Crazy Rich Asisans. She is up against stiff competition however including Lady Gaga in the lead roll of A Star Is Born but Wu was very excited just to be nominated. The Golden Globes are this weekend, January 6. It’s safe to expect you won’t be doing any hard running or intense training for several days. Your goal is to gradually get back to running at your normal training pace without stiffness or soreness. All of us get warning signs of over-training. Keep a training journal to track ache, pain and fatigue that lingers. If you have developed an injury, seek professional medical guidance. Ask your doctor for a medical check-up before embarking on any strenuous training program. If you get the all clear, I recommend you treat your body right with proper nutrition and training regimens. This will help minimize any damage to your body. Practice taking fluids every two to three miles and fuel during your long runs in preparation. Pick the right running shoes that are a good match for your feet. Most shoes can max out at 300-500 miles. The wrong shoes may cause damage to your body, including stress fractures. In the coming weeks, as your physical and psychological recovery is underway, make sure to replenish your body with rest, good protein and carbohydrates. You want to slowly incorporate stretching, cross training that includes cycling, swimming, walking, light jogging and maybe going easy on a stair climber into your regimen. Soon enough, you’ll be ready to do it all over again. The next top MBR 100 marathon coming up is the Houston Marathon. After spending five years in politics, the 2012 Boston marathon champion Wesley Korir is now fully concentrating on his athletics career with reclaiming the Boston title his major focus in 2019. The 36-year-old served in the National Assembly as a Member of Parliament of Cherangany from 2013-2017 and had a quiet stint in the sport after politics took the better part of his time thus failing to replicate his earlier form. 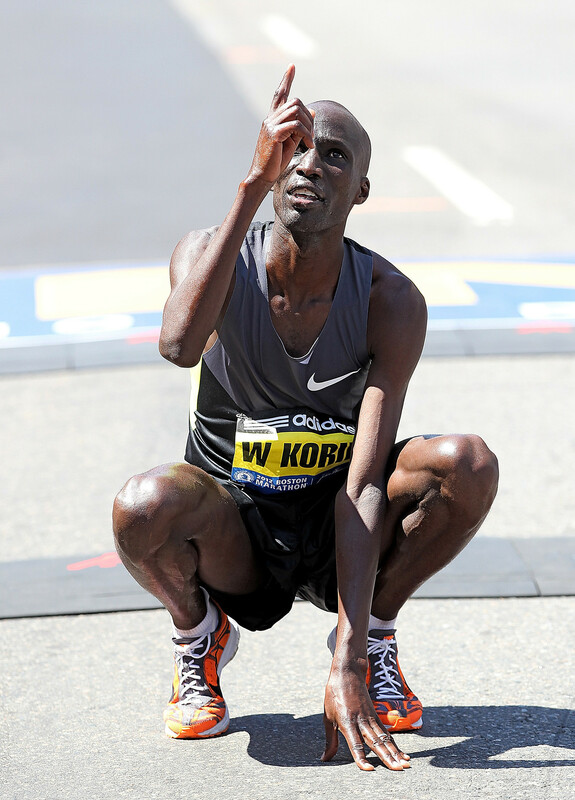 Prior to joining politics, Korir had won back- to-back titles at the Los Angeles Marathon in 2009 and 2010 before finishing as the runners up at the 2011 Chicago Marathon and thereafter winning the Boston Marathon a year later. Although he made it to Team Kenya in the 2016 Rio Olympics, Korir failed to finish the race after the mix up in the drinks saw him develop stomach upsets and subsequently dropped out at the 30km mark. Apart from his young family, Korir dedicates much of his time managing his Transcend Running Academy. The academy aims at unlocking the potentials of young talents in athletics, with youngsters between the ages of 14-16 the major target. After his 2012 Boston win, Korir has failed to make it to the podium in three years he returned, finishing fifth in 2013 and 2015 before settling for the fourth position in 2016. Having competed at the Beirut Marathon last November, Korir is now aiming to make a comeback at the Boston this time round with the aim of reclaiming the victory. Although the veteran athlete finished the Lebanon race seventh in a time of 2:14.17, he is upbeat of improving on the performance more so after shaking off a long term injury. “I have been fighting with injuries since I left Parliament and so I was going to Beirut to test my recovery and I am happy that I am fully fit now. I am now looking forward to participating in a couple of races in 2019 with my main target being the Boston Marathon,” said Korir. Liang Huguo took up running at age 70. He’s run a sub-4-hour marathon. What’s this Chinese senior’s secret? 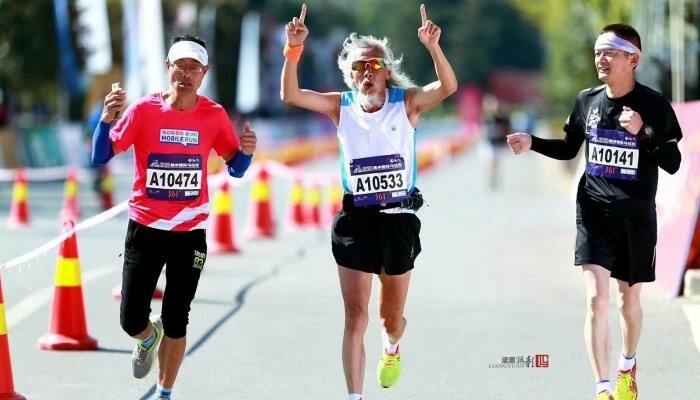 Two years ago, the 72-year-old from Yunnan switched to running, and has since finished 23 marathons. He tells us about his simple diet and training. He is following an old-school recipe for improving as a runner and leading a full life – a simple diet, no-frills training, travel, and stimulating company. He has already run a sub-four-hour marathon, dominates in his age group in China, and is enjoying it all immensely. “I don’t run to just finish. In every marathon I want to beat my PR. If I am far off my personal record I feel really disappointed with myself. I am like this with everything, I want to do everything the best I can,” he explains. His current PR is three hours and 57 minutes. It qualified him for his age category for the Boston Marathon, and he is going to the United States to take part in it. “Are you going to run Boston? I cannot speak English, it would be good if we can go together,” he says excitedly. Liang paid an arm and a leg for a running package tour to the Berlin Marathon, currently Chinese marathoners’ favorite overseas race, but it was worth it, he says. It was here he set his personal best, and he was left impressed and encouraged by the number of people of his age running. The official world marathon record in the 70-75 age group stands at two hours, 54 minutes and 48 seconds, set in 2004 by the legendary Ed Whitlock of Canada. Liang is in awe of both the man and the age-group records the late Whitlock set. “My goal now is to run a 3:30 marathon,” he reveals. But drawing comparisons between Liang and Whitlock would be unfair. Liang first donned his running shoes at the age of 70, while Whitlock had been an elite cross-country runner in his youth who applied that residual fitness base to train for marathons in his forties. We will never know what Liang could have done with his talent had he been discovered and received proper coaching as a youngster. I don’t eat much … I eat mainly vegetables, not much meat. He may well be the fastest Chinese runner in his age category, but he says he does not think anyone keeps statistics for that in China. As he is clearly thrilled by the thought of possibly being a national record-holder. Liang does not get hung up on dietary fads and eats sensibly. “I don’t eat much, but I eat whatever there is. I eat mainly vegetables, not much meat. Every day I drink half a litre of milk, half a litre of yogurt, one egg, one banana and one spoonful of honey,” he explains. Every weekend he takes a bus for an hour to travel across Kunming to do his long run – at least 20km (12 miles) on the newly laid running paths along Dianchi Lake. The runners we come across there recognize and greet Liang warmly, including a running couple who happen to work for Yunnan Television. 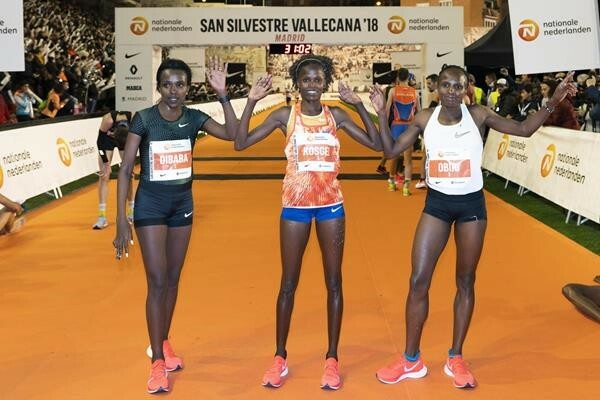 Uganda's Jacob Kiplimo and Kenyan runner Brigid Kosgei established new men's and women's records in the annual San Silvestre Vallecana 10K race. Kiplimo, 18, completed the course through the Vallecas neighborhood in 26:41 here on Monday, besting what was thought to be the unassailable mark of 26:54, set in 2011 by Eliud Kipchoge of Kenya. On a pleasant night with the thermometer reaching 50F (10C), the race kicked off at a frantic pace as an eight-man pack covered the opening two kilometers in 5:24, with Kiplimo and Kenya’s Solomon Boit taking charge of the rhythm. Spain’s Toni Abadía was the only non-African among them. The in-form Ugandan then upped the tempo, averaging a terrific 2:35 over the subsequent three kilometers to reach halfway in 13:12, well on schedule to improve on the course record. By then only Ethiopia’s world cross country bronze medallist Abadi Hadis and Eritrea’s Abrar Osman managed to remain on Kiplimo’s shoulder with Uganda’s Mande Bushendich and Tanzania’s Agustino Sulle following. The second half witnessed Kiplimo and Hadis’s magnificent display as the pair kept knocking off kilometers at a record-breaking pace. Ethiopian competitor Abadi Hadis finished second with a time of 26:54, while Kiplimo's countryman Mande Bushendich completed the podium. In the women's race, Kosgei picked up her second Vallecana trophy in three years with a time of 29:54, nearly a minute faster than Gelete Burka's previous record of 30:53. Kenya's Helen Obiri, world champion in the 5,000m, came second, just five seconds behind the winner. Tirunesh Dibada of Ethiopia, an Olympic gold medalist, had to settle for third. A total of 42,500 people took part in the event, which features an amateur "fun run" before the professional race. Clad in a modest skirt and headscarf, Bracha Deutsch, a mother of five from Jerusalem, was first across the finish line at the National Half Marathon Championships, and now she has her sights set on the Olympics. Israel's most unlikely marathon runner spends her Thursday preparing food for Shabbat. For that's what you do when you are the first female Haredi marathon runner in the country and you have a race Friday morning. It may sound improbable, perhaps preposterous, but 29-year-old Bracha "Beatie" Deutsch is the real deal. 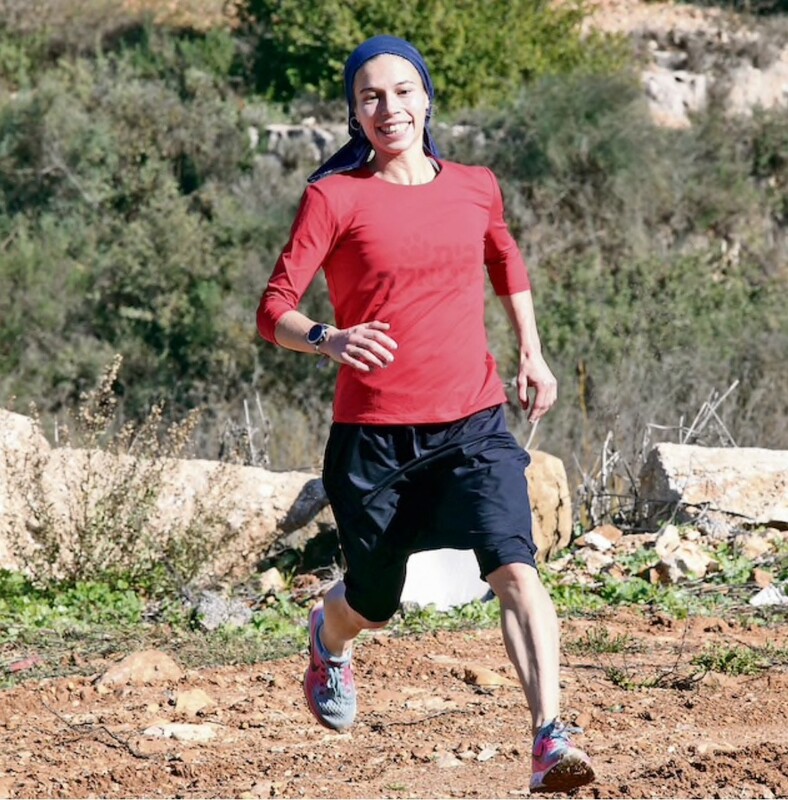 The first female Haredi athlete shocked everyone by winning Israel's National Half Marathon Championship in December, with a personal best of 1 hour, 19 minutes and 51 seconds. Deutsch is keeping things in perspective. 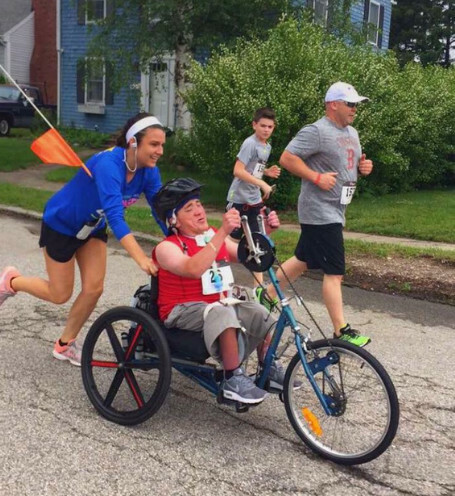 "It's much harder to mother five children than to run a marathon," she says. "Running is a piece of cake compared to potty training." Indeed, her Instagram seems to reflect her two loves - her children and running, and is filled with photos of both. Her user name, perhaps unsurprisingly, is "marathonmother." "Although my children are small, before I compete, they ask me 'mommy, are you going to win?' The trophy I won at the Half Marathon Championship started a war between my children, they each wanted it for themselves!" On January 4, Deutsch will compete in the Tiberias Marathon, where she hopes to place on the podium. And after that, she dreams of the Olympics. And while she is still very far from reaching that goal, she is definitely optimistic. "I have patience," she says. "I've only been running for three years. I hope to be the first ultra-Orthodox Jewish athlete at the Olympics. The first American female to win the Boston Marathon in 30 years, Desiree Linden, will compete in The Louisiana Half Marathon on Sunday, January 20, 2019. She will use the race as a tune-up as she prepares for the 2019 Boston Marathon, taking place on Monday, April 15, 2019. 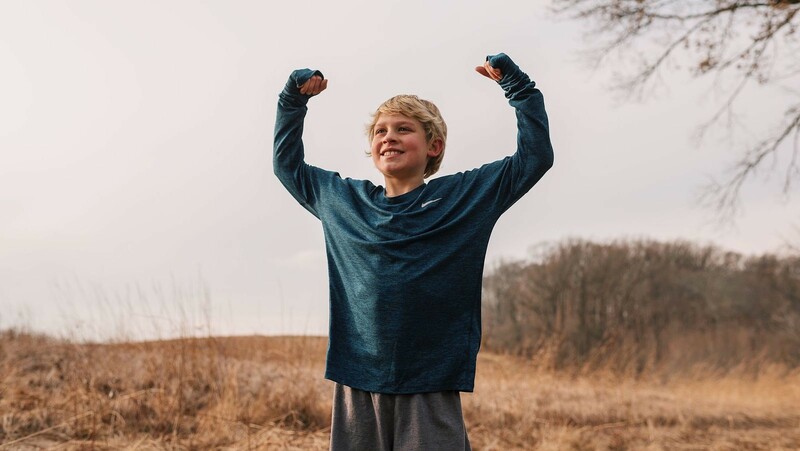 Runners and spectators can meet Linden during the Shipt Louisiana Marathon Expo on Friday, January 18, and during a Q&A session with Linden on Sunday, January 20, at The Louisiana Marathon Finish Fest. The full marathon boasted the highest percentage of Boston Qualifiers for January races last year. There are four distances including the half marathon. “We are thrilled to have Des Linden join us for the 2019 race weekend. As she prepares to defend her Boston title by running The Louisiana Half Marathon, she will experience our fast and flat course, winding through downtown Baton Rouge, historic neighborhoods and LSU’s campus,” said The Louisiana Marathon Strategic Partnerships Director Craig Sweeney. The three-day running festival, culminating with the nationally-recognized Finish Fest, is a culturally rich event that celebrates both running and the unique culture that defines Louisiana. 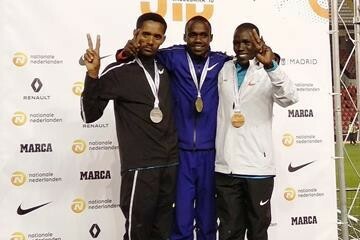 In the men's race, world U20 10,000m silver medallist Jacob Kiplimo will start as the man to beat. The Ugandan teenager, still 17, is unbeaten in four races this autumn season: a 10km event in Trento in October and three IAAF Cross Country Permit races in the Spanish cities of Atapuerca, Soria and Alcobendas. 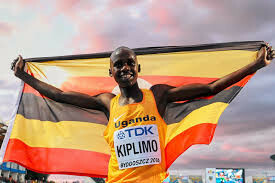 Kiplimo clocked 28:17 at the Giro al Sas in Trento, his best 10km on the roads, a performance he will likely improve upon Monday in his quest for the win. However, the reigning world U20 cross country champion will face dangerous rivals including Ethiopia’s Abadi Hadis, the reigning world cross country bronze medallist and Kenya’s Benard Ngeno. Both competed at the Valencia Half Marathon in October, Hadis finishing third in 58:44 and Ngeno sixth in 59:22, massive PBs for both. Hadis, 21, also finished fourth in Atapuerca. Watch out too for Uganda’s Mande Bushendich, a 21-year-old who improved his 10km PB to 28:01 in Durban in October. Eritrea’s Abrar Osman will also looking for a top-three spot after his recent 42:34 15km career best in Nijmegen while Kenya’s Solomon Boit, a creditable fourth (27:57.44) at the World U20 Championships over 10,000m, Ethiopia’s Mogos Tuemay, a 27:48:41 10,000m specialist and Tanzania’s Agustino Sulle, a 2:07:46 marathoner, should also fight for a top-five spot. Spanish hopes rest on Adel Mechaal, fresh from an eighth place finish at the European Cross Country Championships in Tilburg and Toni Abadía, the national record holder for the distance with a 27:48 clocking set in Laredo last March. The 28-year-old came 14th in Tilburg and will defend the third place he managed here the last two years. Javier Guerra, an accomplished road athlete with 1:01:38 and 2:08:36 half marathon and marathon credentials, will also be on show. The race is held on a slightly downhill 10km point-to-point course and starts alongside Real Madrid’s Santiago Bernabeu stadium before finishing on the pitch of another football team, Rayo Vallecano, in Madrid’s southern suburbs. Forecasters predict a mild night on Monday with temperatures ranging between 8-10C and no rain expected when the gun sounds the start of the last IAAF Label road race of 2018. After months of speculation and rumors of new ownership for next year’s Kona Marathon Events, the word is finally out — it is true. This week Sharron Faff, who has been at the helm for the popular running events over the last decade, confirmed that she has finally “passed the torch” and is now able to publicly talk about it. 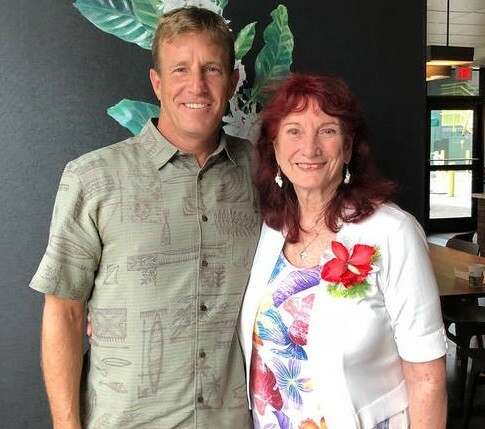 Entering as the new race director and owner for the Kona Marathon, which is typically held in the month of June, will be Brent Imonen. For Imonen, a former Hawaii professional triathlete, competitive swimmer and elite runner, taking the reins for the Kona Marathon Events won’t be a new endeavor or his only stint – he brings plenty of expertise with him from Oahu. National Olympic Committee of Kenya President Paul Tergat has described his late predecessor Charles Mukora as the man responsible for the firm entrenchment of Kenya into the Olympic movement. Mukora, 83, died on Thursday after a long illness. The former member of the International Olympic Committee (IOC) will also be remembered as one of the forces behind Kenya’s breakthrough into international track and field as pioneer coach, nurturing the careers of Kenyan legends Naftali Temu and Kipchoge Keino, among many others. “Charles was one of the founding pillars of the National Olympic Committee of Kenya (Nock) and his tenure saw Kenya firmly established in the global Olympic movement,” said Tergat, an Olympic silver medallist and former world marathon record holder, in his condolences statement. 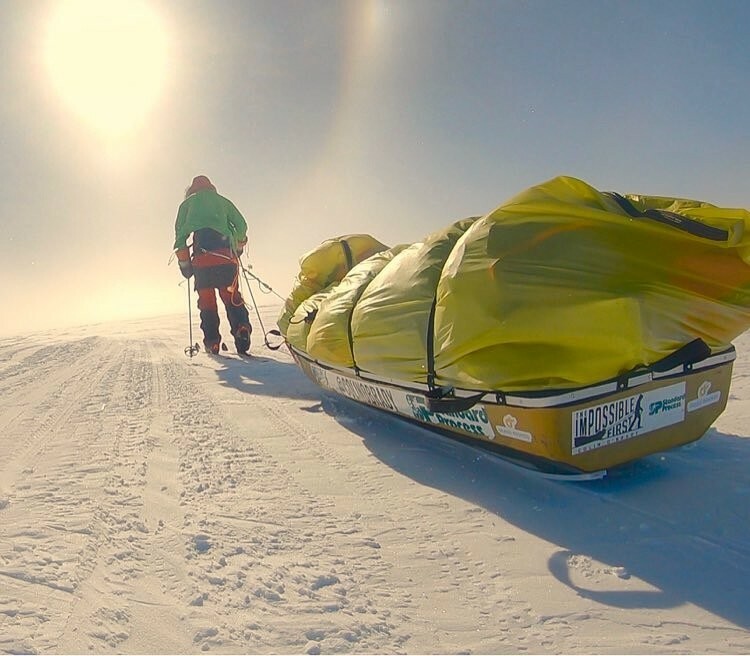 The final miles of a nearly two-month race across Antarctica — a lonely effort marked by long days, short nights and stunning endurance — ended Wednesday with a sprint to the finish. O’Brady’s transcontinental feat, which took him an actual total of 932 miles with some zigzags along the course, was remarkable enough; but to complete the final 77.54 miles in one shot — essentially tacking an ultramarathon onto the 53rd day of an already unprecedented journey — set an even higher bar for anyone who tries to surpass it. O’Brady’s culminating effort joined some of the most remarkable achievements in polar history, including expeditions led by Norway’s Roald Amundsen and by Robert Falcon Scott of England, who battled Amundsen to become the first to reach the magnetic South Pole. There was also Borge Ousland’s magnificent traverse in 1996-97, when he became the first to cross the continent alone and unsupported — though he was aided by a kite. 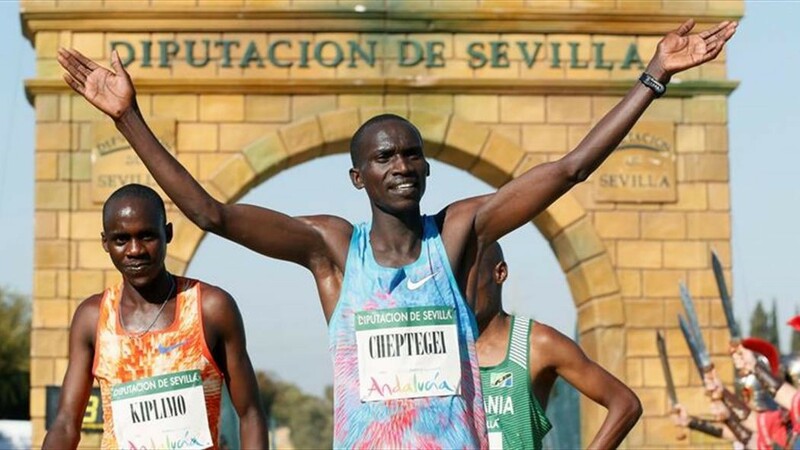 The young Ugandan athlete Joshua Cheptegei will be one of the international attractions of the Nationale-Nederlanden San Silvestre Vallecana that will be run December 31 through the streets of Madrid. Cheptegei has confirmed his progression with a spectacular double at the Commonwealth Games of the Commonwealth and his spectacular 27:16 10K in Durban South Africa. But who can forget watching Cheptegei at the 2017 World Cross Country Championships when he staggered to the finish line. The race was held in his country, in Kampala, and the images of him suffering were seen around the world. Cheptegei will be the leader of the NN Running Team, which will feature other high-level athletes such as fellow countryman and training partner Mande Bushendich, 21, who ran at 28:01 in Durban, the Eritrean Abrar Osman, the Tanzanian marathon runner Augustino Sulle, and Spaniard Marc Roig. The 98th annual Boxing Day 10 was held today December 26 in Hamilton, Ont. The race draws huge crowds of runners to brave the cold temperatures and run an off distance road race. Among the runners were Olympics, Canadian record holders and national champions. The conditions were much better than the 2017 event, which saw temperatures as low as -22 degrees celsius (-6F). Wednesday’s event saw relatively mild temperature which hovered around zero degrees C (32F). The runners certainly weren’t wearing shorts last year. Olympian and Canadian 3,000m steeplechase record holder Matt Hughes won the 10 mile clocking 48:05. He also won last year. He was followed by Tristan Woodfine in 48:09 and Mike Tate in 48:38. Marathoner Reid Coolsaet finished fourth in 49:37. In the women’s race Robyn Mildren took the title for the second year in a row clocking 55:46, second place went to Victoria Coates in 56:57 and third place to Mengistu Emebet in 59:34. Former world marathon silver medallist Vincent Kipruto will lead Kenya’s charge at the Xiamen International Marathon in China on January 6. After a frustrating 2018, which saw the Kenyan compete in three marathons and fail to win any, Kipruto will be inspired as he seeks to start the year on a winning note and break the Ethiopian dominance in the race, reports Xinhua news agency. Kipruto said he was disappointed with not being able to finish the Fukuoka Marathon early in December, but feels he has recovered and will make an attempt to win the Xiamen Marathon, though he is aware of the strong challenge the Ethiopians will present. “I have recovered and focused on running top race. I believe I am strong enough to challenge for the medals. I have no intentions of competing at the World Championships later in 2019, but I want to give this race, my best effort." “Ethiopians have dominated the race and it is time, Kenya takes over and brings home the medals,” he said. 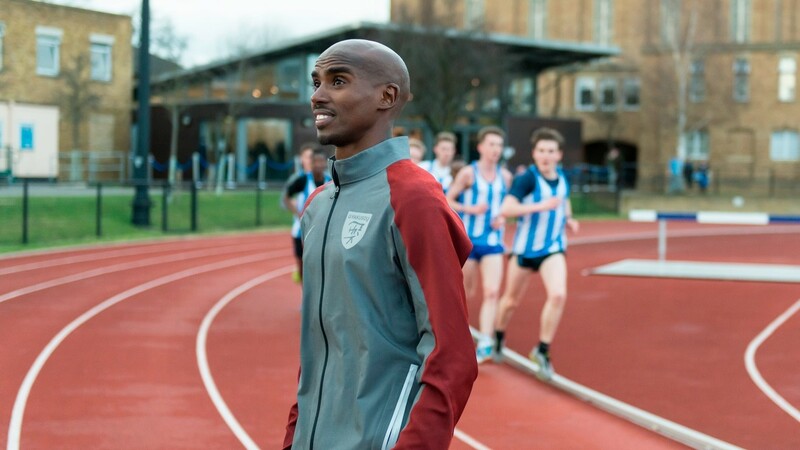 The 35-year-old Sir Mo Farah has won four Olympic and six World Championship golds during an illustrious track career. He is considering returning to the track this coming season. His marathon career received a boost last month when he recorded his first win, in Chicago, setting a new European record in the process. However, when asked by radio station Dubai Eye 103.8 about returning to the track, Farah replied: "2020 is definitely on my mind. I am just taking it one race at a time. "The best thing now is I have a lot of options. I was talking to Gary (Lough, his coach), the people I am close with and some of the fans and I have been honest with them. "They asked 'what goes through your mind' and there's lots. Am I still good enough to compete with these guys; can I beat them? "Part of me does miss the track because that is all I have known for the last 10 years, hanging around with these guys and competing against them." I said, ‘Let me help your dream come true,’” said Dawn Oates founder of The Play Brigade. 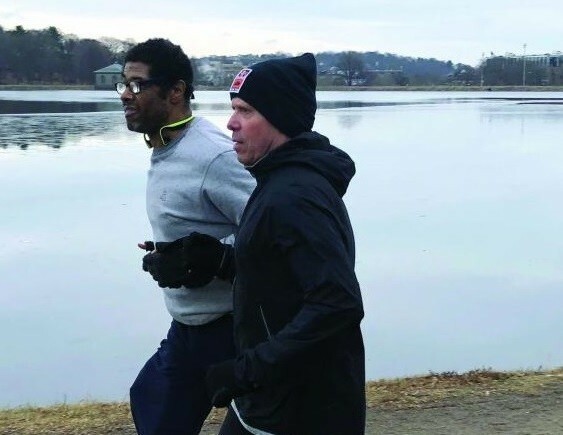 Soon after, in October, Besson completed The Play Brigade’s 5k benefit race, and now he is training for the marathon with the help of the Marathon Coalition. He trains on a strictly regimented schedule with the help of volunteer guides who direct him on his runs. He is attached to a tether with a guide beside him to help navigate crosswalks and potholes. 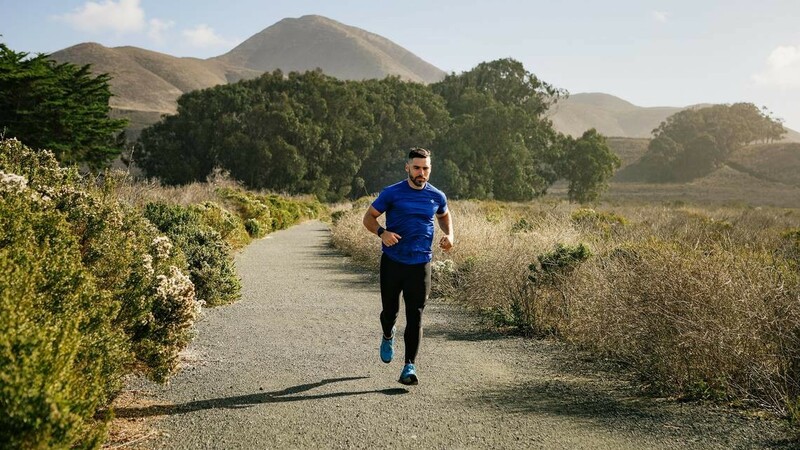 As he gradually increases the pace and length of his runs, the training program will bring him closer and closer to a marathon level of fitness. That milestone will represent the culmination of a long personal journey for Besson, who struggled with obesity for much of his life. Overweight as a teenager, he continued to gain weight after moving to Boston in 1985. Hampered by depression and lacking purpose or motivation, he watched his weight rise to as high as 500 pounds before the recognition of health risks drove him to change his lifestyle and switch to a plant-based diet. Dejene Debele, 23, has showed great talent competing in three marathons in 2018 and winning two, both in China. He won the Xiamen Marathon clocking 2:11:22 and in August he returned to win the Beijing Marathon clocking 2:12:08. However, he was a distant seventh at the Rome marathon in April. Another Kenyan expected in the race is Vincent Yator. The Xiamen International Marathon is an annual marathon race held in January in the coastal city of Xiamen in Fujian province of China, Every January. Juniorthon 2018, Mumbai’s, largest kid’s marathon witnessed over whelming support from over 4000 kid’s, who ran to support ‘Right to Education Programme’ under Mission Education, by Smile Foundation. There are four different distances for kids under 15 (.5k, 1k, 2k and 4K). The aim is to create awareness on the rise of Childhood Obesity & related diseases due to lack of outdoor activities and teach the importance of exercise and a healthy lifestyle by encouraging children to walk/run and get active each day. The kid’s marathon, which took place on December 23, 2018 (Sunday) at MMRDA Grounds, Bandra, also witnessed participation from well-known celebrities and child actors like Amyra Dastur and child artists, Shivansh Kotia, Raj Anadkat (photo) and Divyansh Dwivedi. The event also saw a special performance by India’s youngest child magician Swarang Pritam Randive who performed for the little tots and encouraged them to dream big and come out of their homes to celebrate outdoor activities. 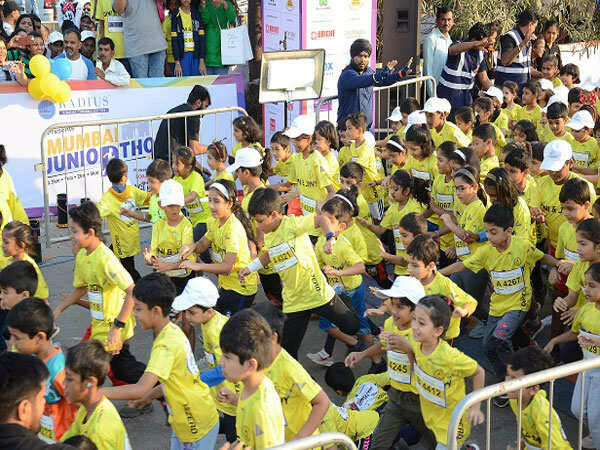 Juniorthon is categorised to accommodate various levels of runners considering age and distance. To support a good cause and promote a healthier future for children, the goal of this marathon is to discourage the over use of gadgets and encourage them to come out and play outdoor, facilitating visual development and engagement with the community. Prior to the run Juniorthon organised training sessions staffed by fitness experts who introduced children to long distance running and taught them to avoid injuries and maintain stamina during the run. Strava is starting another running podcast beginning January 10. The fitness tracking app is about to unveil a new podcast entitled “Athletes Unfiltered,” for the runners and cyclists who use it. It will be hosted by The North Face-sponsored ultrarunner Hillary Allen and feature interviews with extraordinary athletes and athletes in extraordinary circumstances. 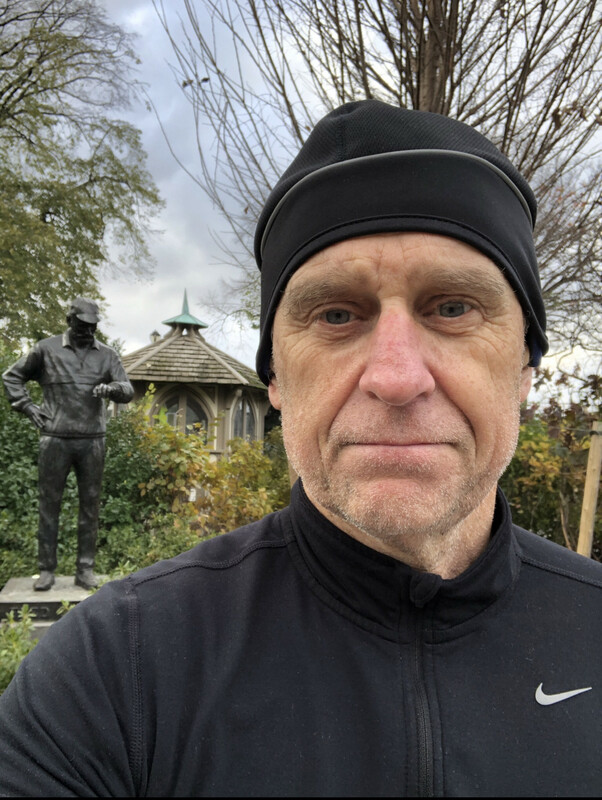 One of the first episodes will feature an interview with Gene Dykes (photo), who recently broke the late Canadian marathoner Ed Whitlock‘s WMA M70 marathon record with his 2:54:23 performance in Jacksonville, Florida. The 37th annual Sanyo Ladies Road Race was held at the Okayama City circle course today December 23 in Okayama, Japan. In the half marathon division, MGC Race 2020 Olympic marathon trials qualifier Honami Maeda (Tenmaya) won her first Sanyo title in 1:09:12, the fastest time by a Japanese woman in over 10 years. Her previous PR according to her IAAF profile was 1:10:22. Dropping the lead pack just a kilometer into the race, Maeda ran solo the entire way to become the only Japanese woman under 1:10 this year. Australian Ellie Pashley was 2nd in 1:09:20, with Maeda's teammate and fellow MGC qualifier Rei Ohara (Tenmaya) 3rd in 1:10:37. National record holder Kayoko Fukushi (Wacoal) was 6th in 1:11:32. A Journey in the world of extreme ultra running, Challenging The Impossible. This new movie gets into the minds of the runners, to understand why they would undertake such a huge challenge and follow how they set about preparing for the task. 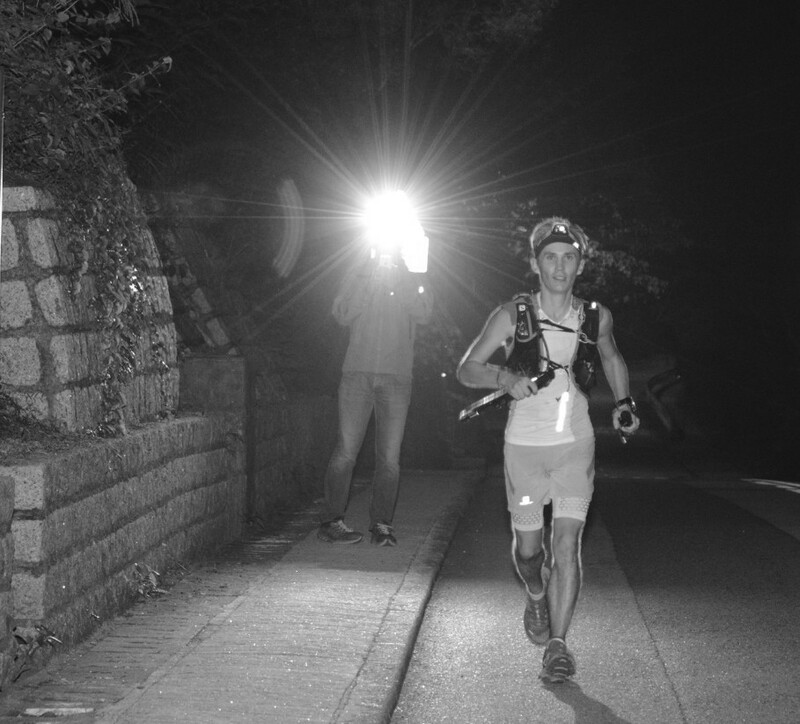 The Movie Breaking 60 was shot over a period of five months in the build up to and during the challenge days, the film explores the world of extreme ultra running. In January 2017, 22 determined runners embraced the challenge of a single self supported effort over Hong Hong's grueling four ultra trails. The movie Breaking 60 is the story of that challenge. This movie has recieved raved reviews such as, “Finishing under 60 hours is more about the mind, more about stubbornness... just dealing with the pain,” wrote Scottie Callaghan. Allyson Felix is the most decorated woman track and field star in U.S. Olympic history, sprinting to three medals (two golds, one silver) at the 2016 Games in Rio to bring her total Olympic medal count to nine. Allyson Felix has shared her birth story with ESPN-W. The runner kept her pregnancy a secret for several months, continuing to compete when she was four months pregnant. The baby was due in January 2019, but at a routine checkup late last month, Felix was found to have high blood pressure and the baby’s heartbeat was alarmingly slow. Felix gave birth by C-section on November 28, and though baby Camryn is still in the neonatal intensive care unit, Felix says she is going to be OK. Felix lives in Santa Clarita, California. “Every day I sit with my daughter in the NICU and watch her fight. Every day she gets stronger and more beautiful". 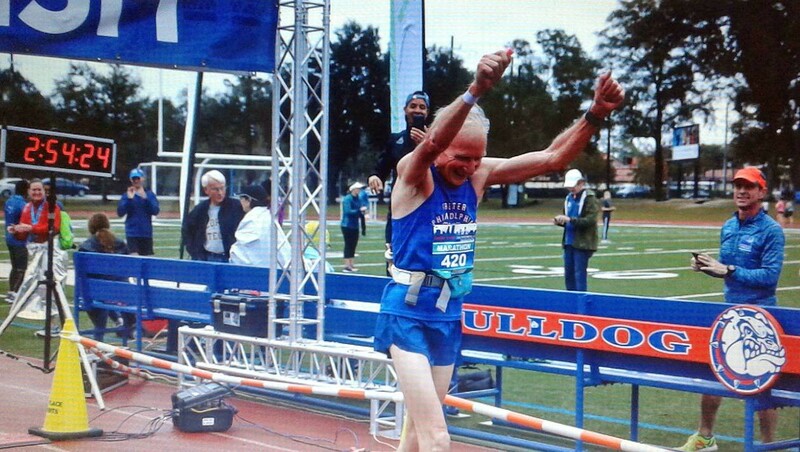 70-year-old Gene Dykes clocked 2:54:23 at the Jackson Marathon but it is not going to be accepted as an official world Record because the race was not sanctioned by the USATF. Gene posted this on Facebook. “Before running the Jacksonville Marathon, I reached out to the race director for assurance that it was a suitable venue for setting a world record, and I received the response that "you should have a good shot at the record". Many races do not pay the fee to be sanctioned by the USATF because they do not see the benefit. The larger races with elite runners have to be sanctioned and they do pay the fee. A race of 30,000 plus runners pay $15,300 to the USATF. A smaller race of 3000 pay $1460. These fees have nothing to do with the course being certified. Most races know the importance of having their course certified. It appears in this case, Jacksonville paid to have their course certified but not the sanctioned fee. This would have gone completely unnoticed and maybe the race Director did not realize Gene Dykes was going to break Ed Whitlock world record. But Gene did and now it is not going to be accepted as an official record because this fee was not paid. Maybe in a case like this the fee could not be paid after the fact? Obtaining a USATF sanction involves filling out a sanction agreement to form a relationship between the sanctioned event and USATF. Basically, it means that an event has agreed to follow applicable USATF rules and will be afforded the benefits like insurance and other things as outlined on their site. 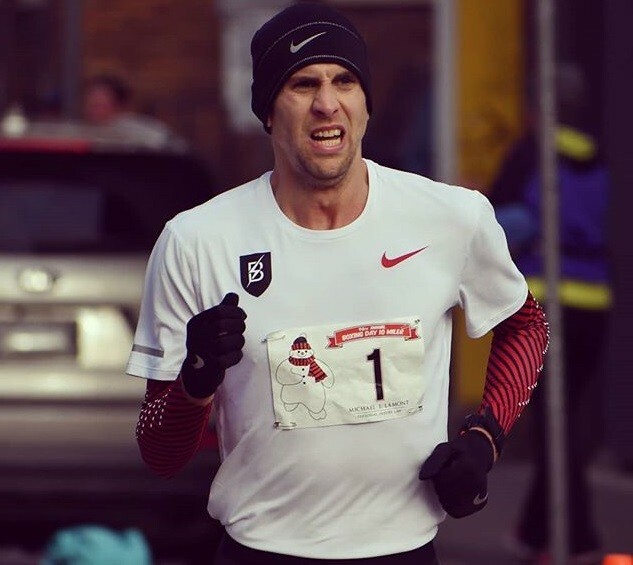 The young Pennsylvania resident felt sore the following morning after finishing the NCR Marathon in 3:32, but he’s experienced greater physical pain. The NCR Marathon is Baltimore's oldest continuously running marathon presented by the Baltimore Road Runners Club. The 2018 race took place November 24. 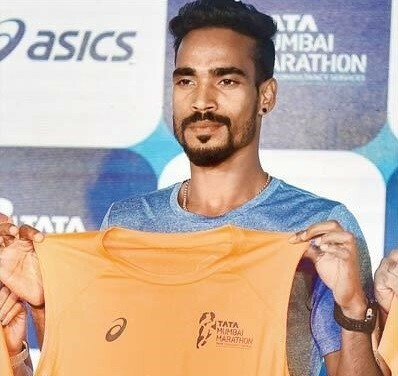 Gopi Thonakal is keen to better his timing at the upcoming Tata Mumbai Marathon in order to improve his chances of qualifying for the 2020 Tokyo Olympics. Gopi, 30, who created history by becoming the first Indian man to clinch the gold medal in the Asian Marathon Championships in 2017, clocked 2:16:51 to emerge as the fastest Indian at the last edition of the Mumbai Marathon. He now wants to better it on January 28. "I have been practising for the Mumbai Marathon for the last six months. My aim to better my own mark. It's very crucial for me as it will help me in qualifying for the Tokyo Olympics," Gopi said during an event to the launch the Asics race day jersey ahead of the 2019 Tata Mumbai Marathon at a city hotel yesterday. Joe Adamson is preparing to run a gruelling 250Km race in the punishing heat of the Sahara Desert. A soldier who played for Bangor Rugby Club is spending his Christmas and New Year in Afghanistan training to run a gruelling 250Km race in the punishing heat of the Sahara Desert. Captain Joe Adamson was deployed to Afghanistan some weeks ago. Joe has set himself a target of competing in one of the most arduous and exhausting challenges on the planet – ‘The Marathon de Sables’. 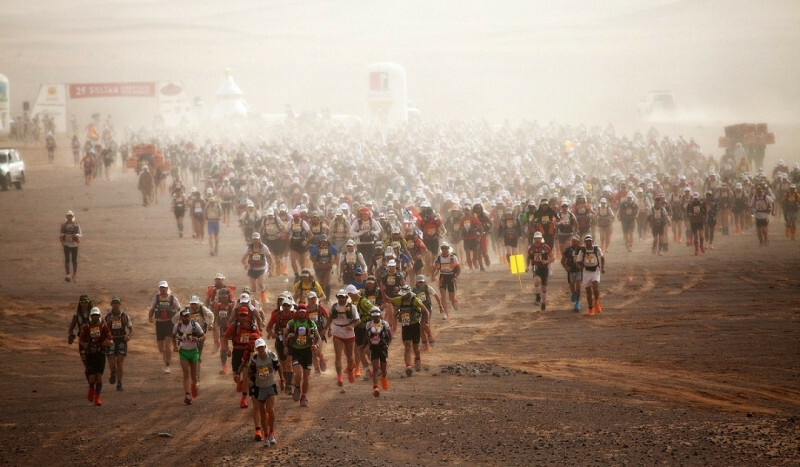 This race, which translates into ‘Marathon of the Sands’ sees around 1000 runners compete in the ultra-marathon over a distance of 250km (156 miles) equivalent to six regular marathons, across the burning sands of Morocco’s Sahara Desert, with temperatures reaching 50 C degrees. The runners aim to complete the race inside six-days and during that time remain self-sufficient throughout, carrying all their essential equipment, including cooking equipment, food and sleeping bag in the kit bag on their backs. Joe is a platoon commander with the Gurkhas and it is his job to plan and execute Advisor Force Protection missions. The UK troops are out in Kabul providing protection and security to the NATO advisors and mentors.